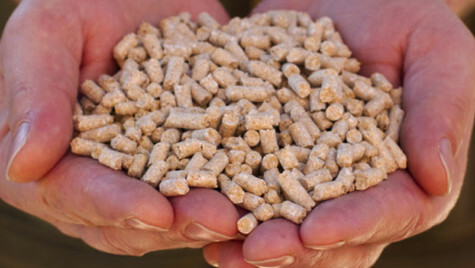 Calf Pellets are designed to be fed as a protein and energy source in either bale situation or as a supplementary ration in the paddock. They contain a balanced formulation of grains, vegetable protein meals and essential vitamins and minerals. CopRice Premium Calf Pellets are a top quality, highly palatable starter that helps to ensure early intake, rapid rumen development and fast efficient growth. The high nutrient density calf starter has been designed for ad-lib feeding through to 12 to 14 weeks of age, where maximum growth rate and minimum digestive upset is required. Fortified with minerals, premixed vitamins and trace elements, CopRice Premium Calf Pellets are an ideal first dry feed for newborns right up to weaning or to approximately three months of age. The feed also contains a licensed and approved performance enhancer to improve growth rate and food conversion, which enables target service weight to be achieved sooner, therefore lowering the age of first service and subsequent calving.